The DMW CEO, Davido did excellently well in 2018 and as such deserves plentiful accolades. He dropped a continuum hits for us all throughout the last year, he energetically killed shows throughout the world and he carved himself a powerful niche in that calendar Year. 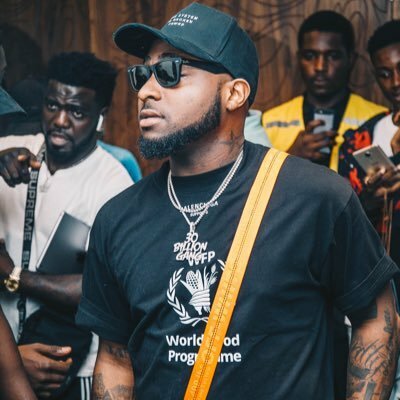 Independently from the achievements we mentioned apriori Davido Also sets a World Record, he did what no artiste has ever done. Davido has set a record of being the most featured music artiste on a music album in the world in a calendar year. The DMW frontier appeared in 14 different Album across the World in a single year. 1. DJ Neptune; “Greatness” – 25th of May, 2018. 2. Boogie wit da Hoodie; “International Artist” – 20th of June, 2018. 3. Dremo; “Codename Vol 1 EP” – 2oth of July, 2018. 4. Popcaan; “forever” – 20th of July, 2018. 5. Odunsi; “Rare” – 12th of October, 2018. 6. DJ Spinall; “Iyanu” – 26th of September, 2018. 7. LAX; “Rasaking” – 26th of September, 2018. 8. Aya Nakamura; “Nakamura” – 2nd of November, 2018. 9. Quavo; “Huncho” – 12th of October, 2018. 10. Mayorkun; “TMOL” – 16th of November, 2018. 11. CDQ; “Ibile Mugabe” – 16th of November, 2018. 12. Kizz Daniel; “NBS” – 30th of November,2018. 13. Clean Bandit; “Beautiful” – 30th of November, 2018.